Doleritic sill complexes, which are an important component of volcanic continental margins, can be imaged using 3D seismic reflection data. This allows unprecedented access to the complete 3D geometry of the bodies and an opportunity to test classic sill emplacement models. The doleritic sills associated with basaltic volcanism in the North Rockall Trough occur in two forms. Radially symmetrical sill complexes consist of a saucer-like inner sill at the base with an arcuate inclined sheet connecting it to a gently inclined, commonly ragged, outer rim. 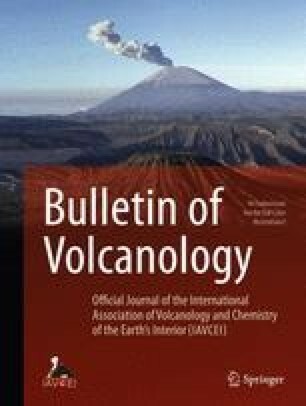 Bilaterally symmetrical sill complexes are sourced by magma diverted from a magma conduit feeding an overlying volcano. With an elongate, concave upwards, trough-like geometry bilaterally symmetrical sills climb away from the magma source from which they originate. Both sill complex types can appear as isolated bodies but commonly occur in close proximity and consequently merge, producing hybrid sill complexes. Radial sill complexes consist of a series of radiating primary flow units. With dimensions up to 3 km, each primary flow unit rises from the inner saucer and is fed by primary magma tube. Primary flow units contain secondary flow units with dimensions up to 2 km, each being fed by a secondary magma tube branching from the primary magma tube. Secondary flow units in turn are composed of 100-m scale tertiary flow units. A similar branching hierarchy of flow units can also be seen in bilaterally symmetrical sill complexes, with their internal architecture resembling an enlarged version of a primary flow unit from a radial sill complex. This branching flow pattern, as well as the interaction between flow units of varying orders, provides new insights into the origin of the structures commonly seen within sill complexes and the hybrid sill bodies produced by their merger. The data demonstrate that each radially symmetrical sill complex is independently fed from a source located beneath the centre of the inner saucer, grows by climbing from the centre outwards and that peripheral dyking from the upper surface is a common feature. These features suggest a laccolith emplacement style involving peripheral fracturing and dyking during inner saucer growth and thickening. The branching hierarchy of flow units within bilaterally symmetrical sill complexes is broadly similar to that of primary flow units within a radially symmetrical sill complex, suggesting that the general features of the laccolith emplacement model also apply. Thanks to Amerada Hess Ltd. for their financial support of this project and to PGS Exploration (UK) Ltd. (Jerry Witney and Huw Edwards) for the release of seismic data and permission to publish the results. Thanks also to our colleagues in Birmingham (Bill Owens, Jonathan Turner, Graham Westbrook, Dirk Liss and Gareth Williams) for their help and advice during this project.